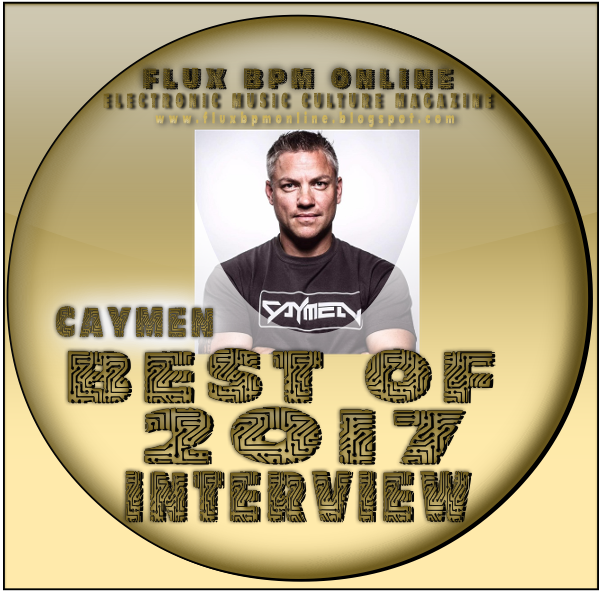 Caymen: My biggest achievements in 2017 are the releases of my tracks Head Over, Verano and Scopello. Caymen: I am very proud of my family, which gives me the necessary freedom for my music and DJing. Weather I'm very overwhelmed about the great feedback of my fans. It's a good feeling to know, that the musical things I produce find the nerve and appeal. It's nice to see that what you do is well received by people. That's a great feeling. Difficult question to find the right one. If I had to answer ad hoc, I would say Allen & Envy feat. Neev Kennedy - Without You, remixed by Dan Stone. It's a powerful but also an emotional track with a great vocal. I would say that Armin van Buuren, Aly & Fila, M.I.K.E. Push, Jorn van Deynhoven, John O'Callaghan, Sean Tyas, Kai Tracid, Blank & Jones, and Paul van Dyk, Manuel Le Saux, Rene Ablaze, are names that do not require further description. They are legends. It is currently Elucidus with his bootleg from System F feat. Armin van Buuren - Exhale (10.2017). Unfortunately, I haven't had any specific requests for that yet and have rather focused on my own tracks. But I'm open for it and look forward to it. The good old days .... Yes, they stay. Music albums like Contemplate or Trance and Acid by Kai Tracid, Out there and Back by Paul van Dyk, Substance by Blank & Jones are legendary. But also the younger generation like Mirage or Intense by Armin van Buuren or Group Therapy or Acoustic by Above & Beyond are great. There are years in between, when I bought a compilation. I already owned the tracks, and if a DJ puts 40 tracks on a disc in a 60 minute mix that's too much, I think. Okay, you can say to get inspirations of transitions it's perfect, but I play my own style. I prefer to listen to radioshows. That's my source of inspiration. My absolute favorite is the art work of Universal Religion 6. A terrific work. My absolute favorites are This world is Watching Me, Shivers, Be Your Sound and Till the Sky falls down. Susanna, Betsie Larkin, Emma Hewitt, Vera Kramer just to name a few. But there are certainly many more with grandiose voices. There are too many in my opinion. the biggest and best known are Armada Music, Black Hole Recordings, MPS, Armind, Redux Recordings, Extrema or Bonzai Records to name but a few. For me the best Social media for my communication is Facebook. Here I can reach a lot of people just in time over the globe. All fans of my little fanbase send great messages. It's hard to say which one is the best - they are all great. But the funniest message was on my private facebook profile .... Hey do you know Caymen or did you hear from him? He looks exactly like you, do you have a brother? I've been working with Cubase for years and I think the program makes a lot possible, even for not so big and experienced producers. I rarely visit clubevents as a guest. I love to go on Open Air Festivals in summertime. My personal best and now also Open Air at least partially, is the Luminosity Beach Festival. I visited this event for the first time in 2007, where it was still very small. It was a great atmosphere. Unfortunately, there are still too few bookings. But on every event I played, was great and it was a honour for me to be there. Well, there a lot of good DJs. Partly known and partially unknown DJs. Unfortunately, I could not perform in a country other than Germany as a DJ. But I have attended many festivals and events and I have met great party people everywhere. There are many. From A State of Trance to Club Elite Sessions to Redux Sessions, Trance Army Radio Show and Cadence or Sound Escalation. But the "little" shows like TranceChill, MarkL2K and Friends, Dynamic of Trance and Redroom Trance Sessons are great shows with lots of talents. Puh.... difficult question. There are a lot of great stations in the world. I often listen to various shows on AHFM, Digitally Imported. I also occasionally listen to AHFM, but I also have shows at Trance-Energy Radio, Radio Herzblut Cologne, ETN FM. The operators of each show are all big supporters. I have great respect for the work they do and I want to say THANK YOU once more. I regularly listen to these channels. Great work guys !!! I mainly purchase my music on Beatport or iTunes. But it's also the case that I get the latest tracks from DJ colleagues to check or play them. Clear WhatsApp, Facebook, Mail and my calendar. Without those I would sometimes be stuck. I use two Pioneer CDJ 2000 NXS paired with a Pioneer DJM 900. However, I also like to use my old Reloop Terminal Mix 4 together with Traktor 2 Pro. That's where I feel at home and the performance is a lot of fun. There you have all the necessary functions you need. In combination with a Mac you have a stable and functional system that runs reliably. Unfortunately, I can not serve with that yet. I'm rarely in exchange with other colleagues about tricks. I have my own style to perform and that makes each one of us so unique and also a little bit interesting. I often sit for hours only in the studio or stand behind the decks and just try out. You produced such great tracks. Publish it and I did it... The result is the overwhelming feedback. My best destination for 2017 was Ibiza. There are many nice places to relax. And if you like good music at night, there is everything your heart desires on the island. FAZEMAG is the only printed magazine I buy regularly. I get the rest of the information and news through the resource-saving internet. See above. I think questions like this are for game players, not for growing DJs. That's a good cue ... The best joke in 2017 was the offer to learn the DJing in two weeks, even for inexperienced music. I've been behind the decks for over 20 years and in my childhood I already mixed my own tapes. Afterwards with vinyl, CD and mp3 etc. My opinion is that you have to have a flair for music, you have to feel it to make something audible out of it. I always say it's like iOS and Android, you love it or you can't work with it. The saddest electronic music message this year was the news of the death of Robert Miles. In my early days as a DJ, there was no way past his legendary track Children. Rest In peace Robert. Caymen: It's hard to say how far I can go and lead my inspirations for new tracks. The fact is that I still have some new tracks in my head and my bag. And yes, I try to make my first Album in 2018 or 2019. I 'm always open for new compilations with great DJs. I'm also not a big DJ but I also like to give newcomers the chance to build their own fanbase. And who knows, maybe one of them will be a big one. After all, as always, it takes a good deal of luck to be heard and accepted by the very big DJs. We will see how far I personally will come. I'm always working hard to get gigs to play somewhere and to be heard and noticed in the scene. This is not easy and takes patience, time and one or the other relationship and support. Thanks to Rene Ablaze at Redux Recordings for organising this interview.